I’ve tried to stay in the spirit of the day today, around appointments with clients and Easter shopping. I heard a beautiful rebroadcast of an old Mother Angelica Live program on EWTN Radio this morning. She was going through the Stations of the Cross and inviting callers to recite prayers that they thought appropriate for the particular Station. Mother has a simple manner of explaining challenging concepts. And she is funny! An engaging dry wit. nothing is as moving as Mel Gibson’s movie. I cannot watch any of the countless movies written about or surrounding the life of Jesus without getting emotional. In this, The Week That Changed The World, this is the saddest day. 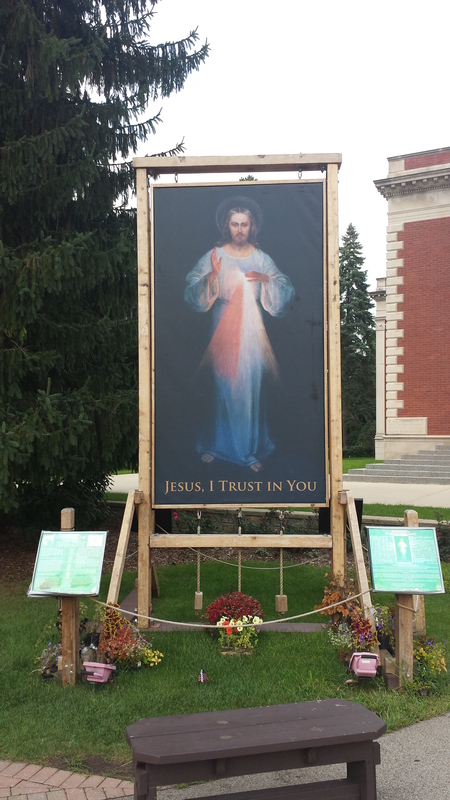 Today is also Day One of the Novena to The Divine Mercy. Jesus told Sister Maria Faustina that the Feast of Mercy should be celebrated on the Sunday after Easter. Jesus requested that the Feast be preceded by a Novena that should begin on Good Friday (a novena is typically nine days of prayer that prepares us for a feast day).